Because of the small outer diameter of 3mm the IRPT100Ex3 temperature sensor is very flexible to use. The IRPT100Ex3 is a 3mm thick 1.000mm long sheathed cable, which is filled with magnesium oxide.The flexible part starts immediately after the 25mm long sensor head and thus provides maximum flexibility. The wide temperature range of -50…+550°C also allows a wide range of applications. 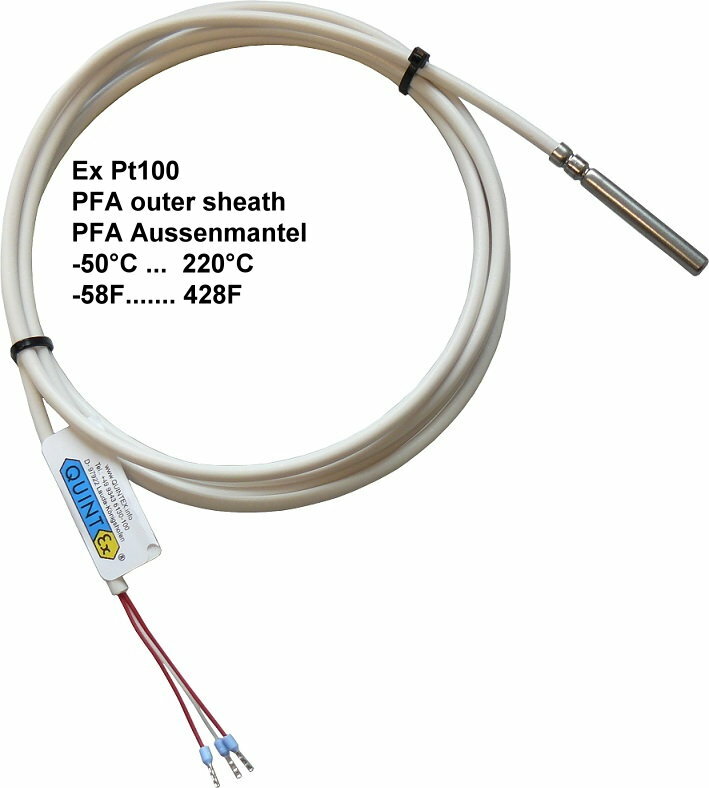 Because of the PTFE cable the IR2PT100Ex/CF temperature sensor is very flexible. Due to the short 60mm sensor the IRPT100Ex/CF can be fitted easily to almost every measuring point. The wide temperature range of -50…+220°C also allows a wide range of applications. The IRPT100 is a PT100 Non Ex temperature sensor with a very flexible silicon cable. Due to the short sensor and the flexible cable the IRPT100 can be fitted easily to almost every measuring point. The wide temperature range of -50…+200°C also allows a wide range of applications.